Will you be entering 9th grade or above in the fall? Do you like kids and reading? The Children’s Department is currently seeking teen volunteers to help for our Summer Reading Program, One World, Many Stories. Interested volunteers are asked to commit to two or more hours per week doing a variety of tasks. This is a great opportunity to earn service hours for your school or community organization while you have free time during the summer! Applications are available in the library or online here; please check out the application for more information and return completed applications to the Children’s Desk. For those of you planning to attend Teen Improv tonight (4/14), please be aware that the program begins at 6pm, not 7pm. The flyers are incorrect. Sorry for any confusion! Learn about webcomics from Tales of a Checkered Man creator Denver Brubaker. Understand more about starting a webcomic, and see what inspired Denver to create The Checkered Man. All teens who attend can pick up a free comic at the Reference Desk courtesty of A-Z Cards & Comics in Garden City, MI, for Free Comic Book Day. Comics are available while supplies last. Sign up online, at the Reference Desk, or by calling (734) 326-6123. 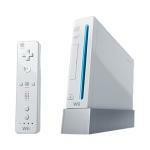 Come play the latest games on our Wii and Xbox 360 during the second Sunday of each month from 3-4:30. No sign up is required. Ages 12-18 welcome! Play Mario Kart, Super Smash Bros. Brawl, Madden NFL Football, Lego Star Wars, Naruto, Zelda, and more! The next event is Sunday, March 13th. You can now sign up for events online using the teen events page. Just click on "Events" on the teen page, choose the event you want from the online calendar, and fill in your email address and name. Confused about FAFSA, scholarships, grants, etc.? A member of Project ACE in Wayne will be here to help on Monday, January 24 at 5pm. They'll discuss how to find and apply for scholarships, what you'll need for filling out the FAFSA, and more! Sign up online on the teen events page, at the Reference Desk, or by calling (734) 326-6123. Parents and teens welcome to attend. The Teen Section now has its own Facebook page. Like "Westland Teens" on Facebook and be reminded of teen events straight from your Facebook page! The Facebook icon on the bottom right side of this page will also take you to the site. Help the library by joining the Teen Advisory Board. If you're in middle school or high school and enjoy coming to the Westland Library, consider joining TAB. We meet the last Tuesday of each month at 7, and the next meeting is Jan. 25th. Have a say in YA by helping us plan programs, pick out books, and design book displays for the Teen Area. If you're interested, stop in at the library and fill out a short registration form, or simply pick one up at the next meeting. We'll feed you dinner at each meeting! Project ACE (Access to College for Everyone) is Western Wayne County’s college access resource center. They can help students get the information they need to prepare for and go to college! Project ACE is having a Grand Opening on Saturday, Dec. 4th, from 11:00am-3:00pm. At the Grand Opening, parents and students can tour the resource center, meet the Project ACE staff, get college information, win door prizes, and more. Refreshments will be provided. The Grand Opening takes place inside the Metro Place Mall, 35425 W. Michigan Ave., Suite 3693, in Wayne, MI. Looking for last minute gift ideas? Why not make a wreath out of delicious candy! Come to the library, eat candy, and make a cool craft for the holidays. Candy Wreath Making for Teens (part of our Crafty Gifts series) is on Monday, Dec. 20th from 6-8. Reserve your spot by calling (734) 326-6123 or visiting the Reference Desk.